Most people in Las Vegas bet with chips, but Danny The Count Koker bets with cars. Best known from his numerous appearances on Pawn Stars, this Sin City legend walks, talks and breathes classic American muscle cars. 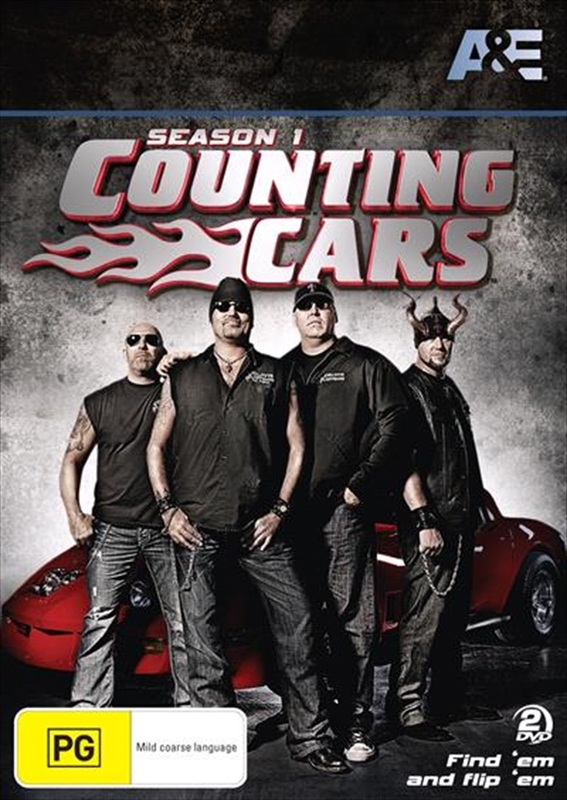 In the hit series Counting Cars, Danny and his team restore, customise and sell cars in a hurry, scrambling to keep their busy Las Vegas shop in the black. From vintage T-Birds to classic Corvettes, toy cars to souped-up sidecar motorcycles, Danny and the crew of Count's Kustoms will stop at nothing to find and flip the greatest rides of all time. In Season 1, Pawn Stars Rick Harrison presents the team with a dream job: converting a beat-up 68 Mustang Fastback into Steve McQueen's iconic ride from Bullitt; a 67 Pontiac GTO gets the Counts custom treatment; and Danny finds himself emotionally involved with the restoration of a 70 Dodge Challenger.